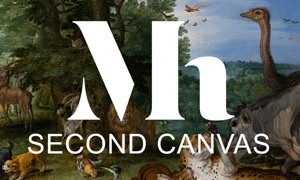 The Second Canvas Museu de l'Empordà app is the ideal tool to help you discovering some of the masterpieces from the Museum's collections, now available in high resolution so you won’t miss a single detail. Follow the artistic itinerary proposed by the app and make the most of your trip to the Museum, or enjoy this virtual visit from home. Be surprised, have fun, and learn about the stories and secrets hidden in the works of art at the Museu de l’Empordà using your mobile device – iPhone or iPad – and then share your experiences on social media. 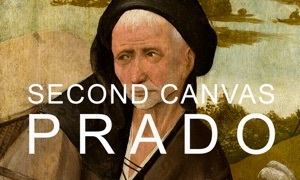 Developed by Ajuntament de Figueres - Museu de l'Empordà and Madpixel, Second Canvas currently lets you explore 10 of the most outstanding pieces in the Museum’s collection of Catalan and Empordanese painting, such as Sant Narcís (Saint Narcissus), by Salvador Dalí, La Terra (The Earth), by Ángeles Santos, and Sota l'ombrel·la (Under the Parasol), by Lluís Masriera. • Superzoom lets you examine the pieces in the highest possible quality, with the possibility of looking at brushstrokes, craquelure, and details that are imperceptible to the naked eye, revealed through the use of gigapixel images. 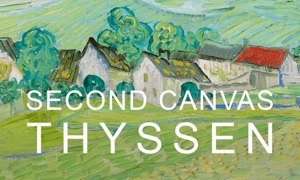 • Ten paintings in super-high resolution. • Guidance from the Museum’s expert staff to help you discover the surprising details, stories and anecdotes hidden behind the artwork. • The possibility of selecting the most suggestive details to share on social media. • Download all the information to your device for access off line or in airplane mode. • The application will gradually be updated to include more artwork, in addition to the incorporation of videos, audio guides, etc. to continue presenting the Museum’s collection with new experiences and information. • Content available in Catalan, Spanish and English.